Indian Oil Corporation limited celebrates their Golden Jubilee year. They wanted us to conduct quiz program (Intra School) in three schools (Village) on behalf of Indian Oil. 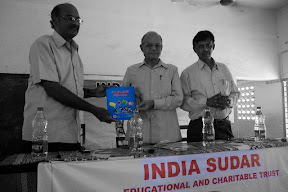 Our Quiz team conducted the quiz programs on August 17th, 18th and 20th, 2009. 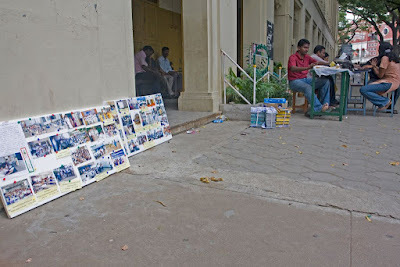 SC Welfare Government Hr.Sec School, Thiruninravur, Chennai. – August 17th. (60 Kms from Chennai). 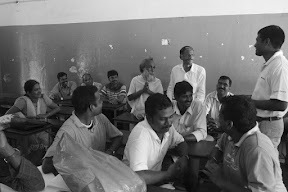 Government Hr.Sec School, Olakkur, Vizhupuram Dt – August 18th. (120 Kms from Chennai). Government Hr.Sec School, Uthiramerur, Kancheepuram Dt. – August 19th. (85 Kms from Chennai). 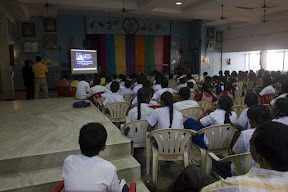 Students from 8th and 9th std attended the quiz programs. LCD projector and assistance: Mr.Prakash. Our team members took leave and conducted these programs in weekdays. We got a chance to visit various places and able to understand the students’ level and expectation. Students were not able to answer even for very simple questions. But these kinds of programs create awareness to the students. All the expenditure was taken care by Indian Oil. Arrangements and their hospitality were excellent. 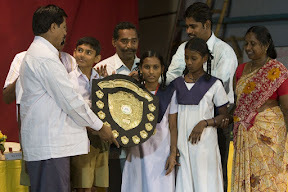 They celebrate their programs in a useful way (to rural students) and different from others. We will receive Rs.21, 567 from Indian Oil for the conduction of these programs within this week. 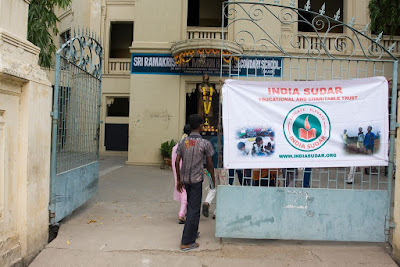 India Sudar & Rotaract Club,Karur Celebrated One day Educational Festival program at Karur, Tamil Nadu to create awareness for Government School (Tamil Medium) students from 8th to 11th standard students. These kinds of programs are being conducted to motivate the top rank holders from Government schools. Action Plan to create awareness for the remaining students from each school will be discussed and executed very soon. 1. OUR SINCERE THANKS TO Mr.Gunasekarn sir and his team. 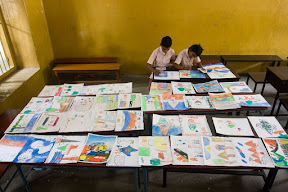 Our Sincere Thanks to our student Volunteers from Panchamadevi and Mr.D.Murugesan. 2. Our Sincere thanks to ALL THE ROTARACT MEMBERS OF KARUR. 3. 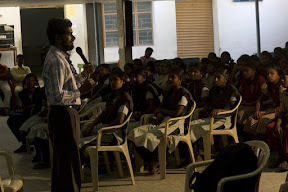 Dr.Mukayudhin from Coimbatore gave a very good interactive session with students. Lecture is about Students and teachers Psychology and Education. 4. Our member Mrs.Shanmukavadivu from Karur explained our career path chart excellently. 5. I and Rajamadasamy conducted the quiz program. 7. 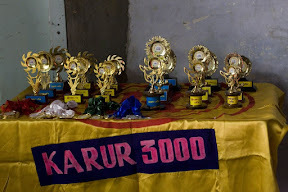 District Educational Officer, Karur and Senior persons from Karur Rotaract club distributed the prizes. 8. Few photos will be sent to the schools. 10. We got 8 new members from Karur. 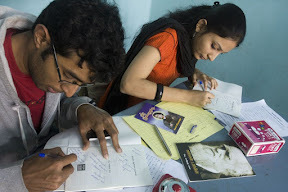 · 1000 Rs worth folders and Prize books are purchased for future purpose. · Effective Cost spent for this project from Our Trust: 11,570 Rs. · Rotaract Club of Karur spent for Prizes,LCD Projector,Video,Hall Arrangements,Certificates, Payment for Judges and Special invitees Etc.. 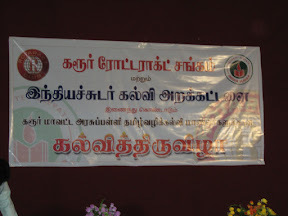 Thanks to everyone and Rajamadasamy to make this event very successful and useful…..